Before heading out to Mission BBQ, I was already armed with advance knowledge of what to order because they have both a gluten-free menu and allergen chart on their website. Even when ordering at the restaurant and I knew what I wanted to order, I still asked for a gluten-free menu from the cashier, and the staff happily gave me a copy of it. When I told them I was dairy-free, they guided me and confirmed my selected choices were safe. All of the meats are gluten-free, just avoid the jalapeño and cheese sausage if you are dairy-free. For sides, all but the macaroni and cheese and cornbread are both dairy- and gluten-free. Some of the sauces are gluten-free and dairy-free (check the allergen menu for full detail), but the fact that they are processed with wheat-containing soy sauce, I chose to steer clear. For my dinner, I chose the pulled chicken with two sides: french fries and coleslaw. The fries are the only items fried in the fryer, so they are truly celiac-safe. First off, the portioning of the food is generous, and you definitely will not leave hungry. The pulled chicken is incredibly tender and juicy. The flavor is delicious, and the meat really does not need additional sauces or seasoning to dress it up. The fries, cut and prepared in-house, are truly a cut above other restaurant's and not too greasy. The coleslaw, cool and creamy, is a perfect accomplice to meat and fries. 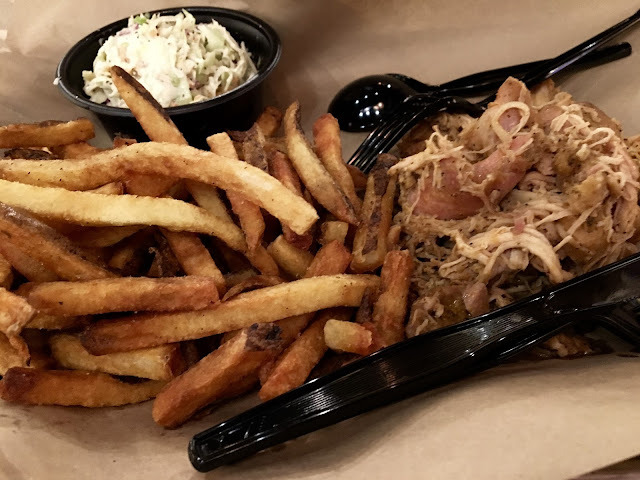 Overall, I was satisfied with my meal and didn't feel bloated or weighed down by the fare- a real accomplishment with barbecue. Of course as a true Baltimorean, I couldn't pass up sprinkling Old Bay on all three parts of my meal to jazz them up. 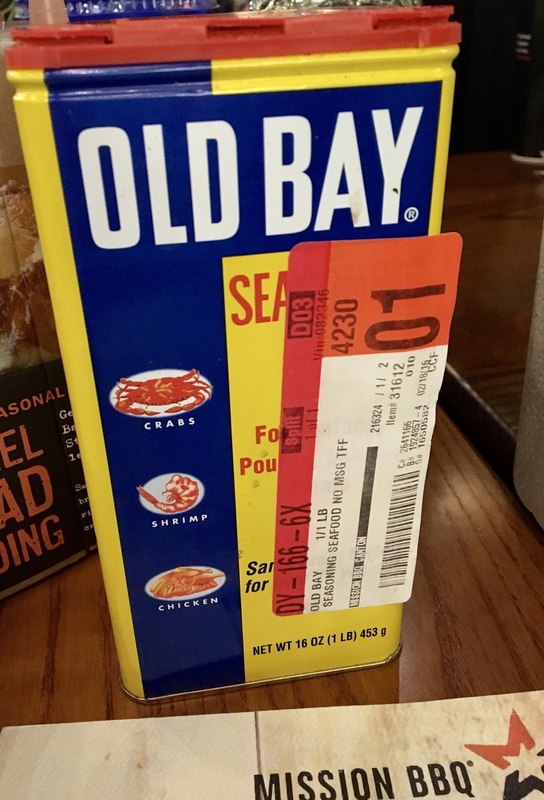 Baltimore's signature seasoning is gluten and dairy-free. 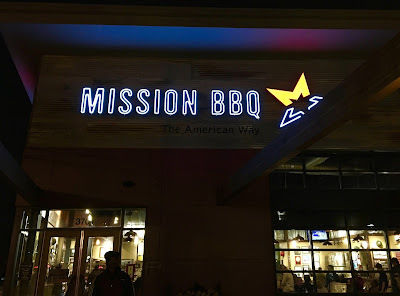 Besides the high quality of the food, I loved Mission BBQ's abundance of patriotism and proud support of the military and police. 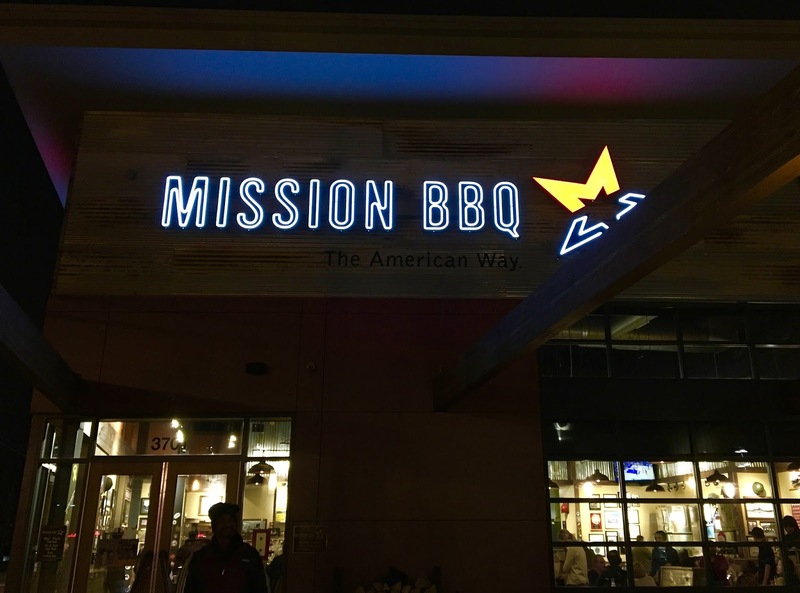 With patches, bumper stickers, and other memorabilia in abundance around the restaurant, it's clear that Mission BBQ wears its heart on its sleeve and really does support those who serve their communities and the country.